NOSTALGIA gives way to fresh, energetic hues and eye-catching silhouettes, a classic farmhouse gets a jolt of drama. THE PURE LINES and crisp geometry of a modern home find their playful side in lighthearted reds and pinks that bring minimalism to life. THE POWER OF RED revs up warm weathered woods and misty ocean grays and greens of a serene seaside retreat. RED ENLIVENS, bringing depth and energy to a space and spiking deep grays with life. 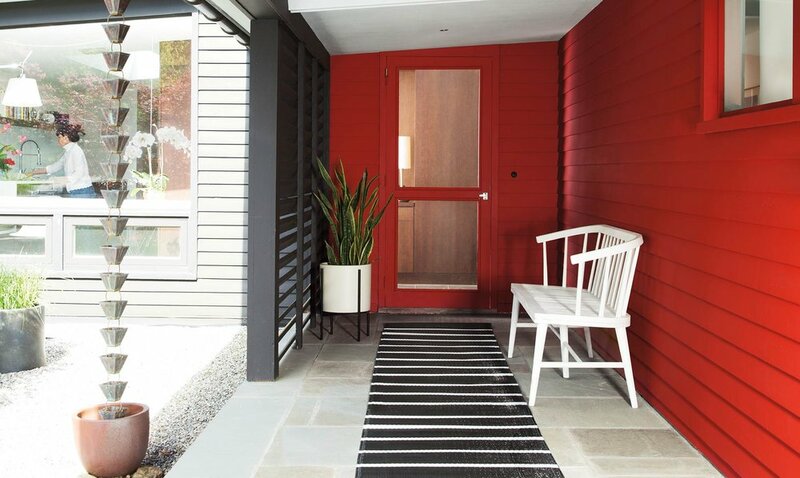 Showcase your COLOR CONFIDENCE with Caliente AF-290 for an entrance packed with personality.